Lay Back And Relax In Comfort Of Your Garden! 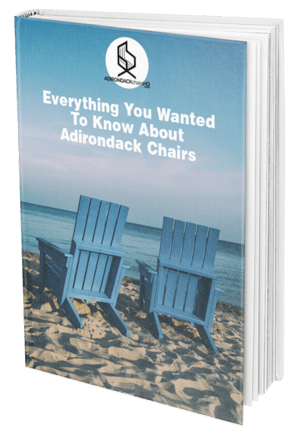 Download our FREE eBook guide and discover how Adirondack chairs can help you relax and enjoy the beauty of the outdoors. Is it Better to Paint or Stain Adirondack Chairs? 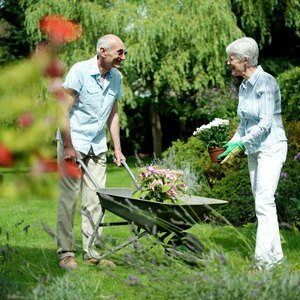 Believe it or not, gardening is one of the top physical activities you can do. As a matter of fact, the CDC – Centers for Disease Control and Prevention classifies it as a great outdoor activity that can relieve stress and keep you healthy. Apart from enjoying the beauty, you will also have the advantage of getting fresh produce (fruits and vegetables) and enjoy rest on your Adirondack chairs with the family. In addition, you can get a little income from gardening by selling some of the fruits and vegetables you grow. These advantages come not only to the town gardener and those gardeners tilling wide pieces of land in the countryside but to every home gardener no matter how small a garden they have. The joy of gardening can be like no other. The problem is that gardens flourish only in the warm seasons and so to enjoy them you need to know when certain things will grow best. Spring and summer are the ideal seasons for you to grow in your garden. But there is much more to know about gardening to ensure you have a successful year. Where to get this information and how to keep it all straight can be mind-boggling. Where do you get Gardening Information? Some gardeners will search the internet for the information they need to make their gardening experience simpler. Honestly, scrolling through the internet for dates, identification, and information concerning plants in the garden is not an easy task. It can be time-consuming and can lead to frustration, particularly for the amateur gardener who has not yet gained the knowledge and experience needed. For the green-thumbed professional gardener, this might work, but a person new to gardening would spend a lot more time searching for what they need. What if all the gardening information you needed was in a single place to help both the novice and seasoned gardener? That would be great, right? Absolutely! There are apps packed with information to provide assistance for you to grow and maintain an attractive garden the entire year round. For any gardener out there, one of the most vital applications to use is one that can identify the plants in and around the garden. With this app, you are a walking garden plant encyclopedia with virtually all the plant species you can ever get in a garden. Garden Answers is popular among gardeners because of its simple to use interface. It is capable of defining more than 20,000 plants together with additional information that is very useful to the user. All it requires is taking a picture of the plant you want to identify and then pressing ‘submit’ and voila! The identity of the plant appears almost instantly and you can move on to the next plant. The app works on both Android and iOS devices. 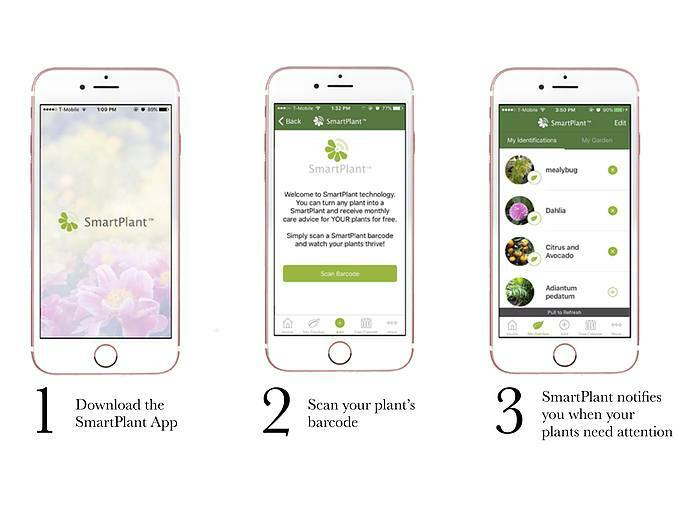 Just like many other apps, the SmartPlant app identifies plants. However, it comes with an additional feature – a digital care calendar that knows the care that plant needs. You also can personalize the app depending on the plants you have and can get notifications whenever they need particular attention. This application is available on both Android and iOS. This application is available on both Android and iOS and is capable of tracking the progress of your garden. The green-thumbed gardeners find it useful because it contains a wealth of knowledge on gardening and accurately informs you what needs to be done to take care of plants. With Gardening Companion you have what it takes to become a successful gardener even as a newbie. The information is well and simply presented to help you quickly grasp what you might need. Additionally, you can get help and provide it to others through a forum feature on the app. The Natural History Museum (NHM) uses this application for its operations. This is an indication of what exactly Leafsnap can do and how useful it can be to gardeners like you. It is a development of the University of Maryland, Columbia University and the Smithsonian Institute. This app was made for plant identification and has attractive, high-resolution images of leaves, petioles, seeds, bark, and flowers. You will identify the leaf by use of the leaves of the plant just as the application’s name suggests. Currently, the app is only for iOS, but an Android version is in the works. The name spells out exactly what this app is about – soil. The British Geological Survey (BGS) created this app and it is solely meant to give information about soil depth, types, pH, the content of organic matter and soil temperature. Y knowing what kind of soil you have, you can identify the type of plants that will flourish in your garden. It can be used both on the iOS and Android devices. There is more to planting a garden than just plopping seeds in the ground and many gardeners don’t take into account the many factors that can help or hurt a garden. Some might place their plants and fail to bring out the beauty of the garden or, even worse, make arrangements that might cause some plants to hinder others from growing. Garden Plan Pro provides you with knowledge on how to plan a fruit, herb and vegetable garden to take advantage of the available space. This simple to operate application provides you with tools to layout the garden, arrange the plants and track the garden progress. It works on both Mac and PC desktops, but only iOS phones and tablets. Sometimes you cannot wrap your brain around some issues in the garden and often only a gardener who has gone through a similar situation can help. Apart from giving advice, inspiring and setting task reminders to the gardener, this app allows gardeners to share gardening tips and information with each other. It also has suggestions on how to deal with pests and weeds. With this tool, you have all it takes to succeed as a gardener and works on both Android and iOS. from Britain who knows exactly which layouts suit particular spaces. Into garden also encourages you to eat what you grow in your garden. Be sure to enjoy the fresh vegetables and fruits during summer. Works on both Android and iOS. When it comes to identifying plants, Flower Checker tops the list. It is created by real botanists who are experts in the field so the chance of errors is minimal. 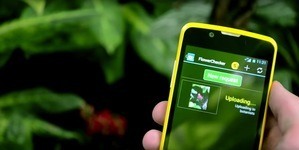 This application can identify more than 90 percent of plants species. It is also advertisement-free. Works on both Android and iOS. There are many apps out there but only Plantifier functions in a unique way from the rest. 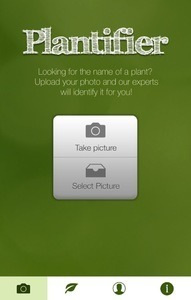 While other plant identifiers depend on experts and the information fed into the app to identify the plant, Plantifier involves the user taking a picture of the plant in question and uploading it for other users to help in its identification. You will also get an additional benefit of tracking how your plants and flowers are fairings. You can access the Plantifier app through iOS and Android appliances. With the numerous apps above, you can clearly see that technology does not just stop at the garage door of your home but also goes a long way in making your garden a place to behold. It can, however, be mind-boggling to pick the right app for your use. Once you wrap your mind around your options, you can start saving time, collect data, learn from professionals, sharing with fellow gardeners, fight pests and monitor your plants. No doubt, these apps make your gardening experience simpler and more productive, but what are some of the things you need to look at when choosing a gardening app? Just like the indoor applications, your garden app will either sense the environment you are in and offer you tasks to make your garden better, inform you about the plants or connect you to professionals and fellow gardeners. It is important to know your needs because these apps can do many things. Some will help you to plan your garden, others will provide names for your plants and others will give tasks to make your garden productive. Given that there are apps that can combine these features, you can select one that meets your needs. This comes down to the features available on a particular app and how easy it is to operate. Each app has devices it supports. The majority of them can function on iOS and Android devices. Many of these apps are free of charge and you could always download them and try their effectiveness on your device to see if it will work well for you. An example is an app that offers care advice. You should make sure its database has information on those plants that you are planting. For those apps that share with other users, their ability to match you with other gardeners is vital. Connecting with multiple gardeners gives you the chance to have quick access to solutions when you need them. Another important factor to consider is the ability to work online and offline. With some apps, you will have to be constantly online in order to use them. On the other hand, some will allow you to use both online and offline options while others will work all the time when offline. This is a consideration if your garden is beyond your wifi range or if you are worried about data usage on your cell phone plan. for. Some require upfront fees while others will need you to subscribe and make monthly payments. Whether or not the app is worth the fee is up to you. There you go. The top ten apps that will transform how you handle your garden. Whether it is planning, identifying plants, getting suggestions on the activities on the garden, eliminating pests, or getting advice from gardening gurus, you have it all there. Choose the ones that suit you and start enjoying your garden more than ever. Are you thinking to enhance your firepit? Check out the top firepit enhancement ideas.